We’ve reached the point in the season where flu is now circulating, and there’s been a number of national media articles recently about ‘swine flu’ cases in the UK. With memories of the 2009 pandemic, which is now almost 10 years ago, it’s perhaps not surprising that there’s alarm when we hear about swine flu, but the reality is that today, ‘swine flu’ is considered regular seasonal flu. Swine flu was the unofficial name given to the new strain of influenza (flu) that was responsible for the flu pandemic in 2009-2010. 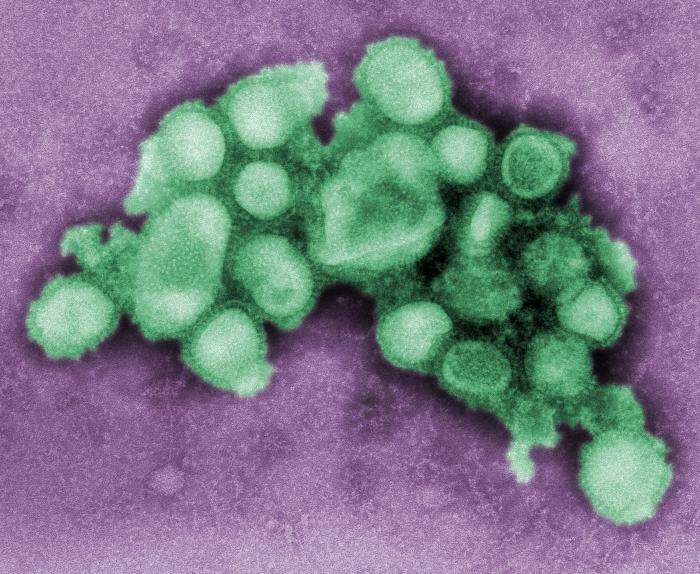 However this specific strain of influenza - A(H1N1)pdm09 – is now circulating each year and is considered a normal seasonal flu strain, which is covered by the annual seasonal flu vaccine. If you’d like to know more about how vaccines are tailored to seasonal flu we blogged about it previously. Because A(H1N1)pdm09 has been circulating in the population each flu season since 2009, the proportion of the population with some degree of immunity, either naturally acquired or through vaccination, has been rising. As a result, A(H1N1)pdm09 is now regarded as one of the seasonal flu strains and if you had flu in the past decade, it’s quite possible A(H1N1)pdm09 was the culprit. That’s also true this flu season where virus surveillance from the UK and elsewhere in many European countries show that A(H1N1)pdm09 is now the main circulating seasonal flu virus. The good news is that the virus samples we’ve examined in our PHE reference labs show that the circulating strains of flu are a good match for this season’s flu vaccine, at this stage. Flu is dynamic and things can change, which is why we continually monitor during the year and provide weekly updates on the latest situation during the winter months. So can we all relax when it comes to flu caused by A(H1N1)pdm09? Unfortunately no, immunity wanes over time, the virus can evolve and there are other strains of influenza circulating which continue to make the flu vaccine the most important step in protecting vulnerable people against flu infection each season. Most healthy individuals usually recover from flu within two to seven days, but for some it can lead to illnesses that are more serious, including bronchitis and secondary bacterial pneumonia, which can be life threatening. Previous flu seasons dominated by A(H1N1)pdm09 suggest this strain particularly affects children, pregnant women, and younger and middle age adults with long term conditions like chronic heart disease, liver disease, neurological disease and respiratory disease in particular. Another key part to the fight against flu is flu vaccination among key groups including health and social care workers. This helps to not only protect the workers, but also protect the vulnerable patients that they might look after, who are at greater risk of the serious consequences of flu. Our latest figures show 61.0% of frontline healthcare workers had received their influenza vaccination as of 30 November 2018. It’s great so many people have taken steps to protect themselves against seasonal flu this year, and as flu now circulates it’s important that people remain alert, but not alarmed, about the risk of seasonal flu. Read our latest blog on flu vaccination and this year's programme.